1. What does the role expect of me? 2. What do I expect of the role? 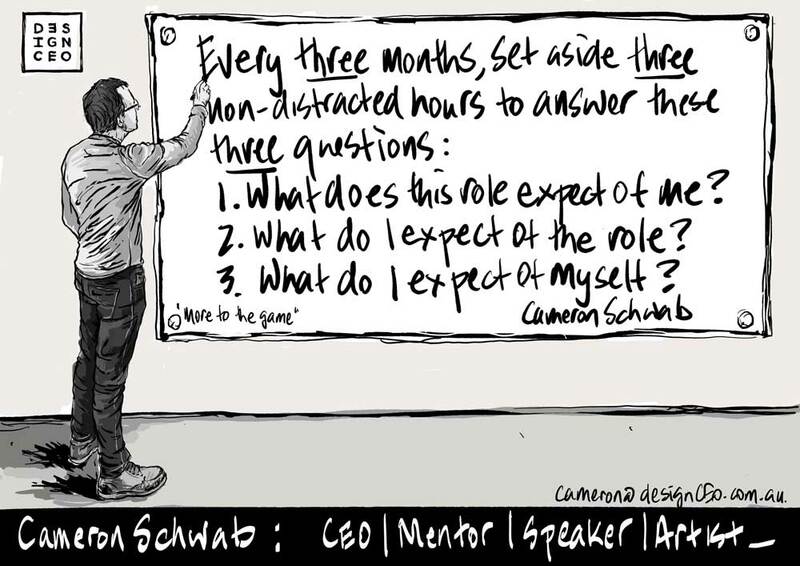 It must be non-distracted and time-blocked in the Cal Newport ‘Deep Work’ tradition, where you are prepared to push yourself creatively, seeking new thinking, avoiding default thinking, ensure the work you are doing is right for you, and right for those who rely on you, particularly if you are a leader. Attack it with a purpose and performance mindset. Start afresh each time to ensure that you are not just reiterating what you wrote three months ago.